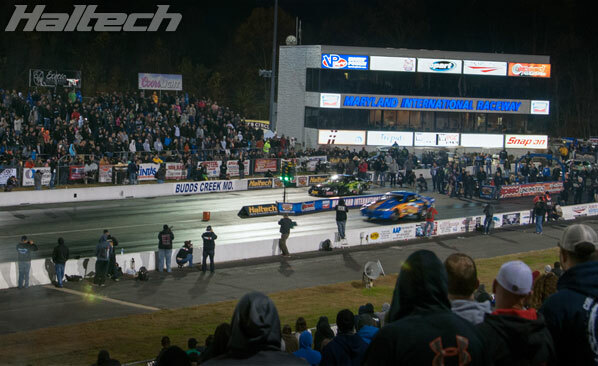 For those not familiar with the event, Haltech World Cup Finals is the biggest event of its kind in the world with Import vs Domestic drag racing, a Custom Car Show, Bikini Contest and a huge vendor midway. 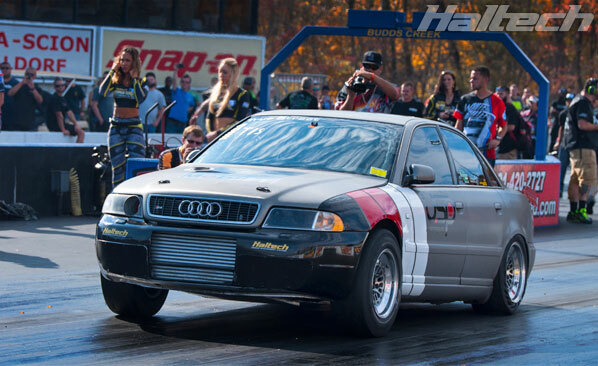 Held at Maryland International Raceway, Haltech World Cup Finals is famous for consistently breaking more class records than any other event. 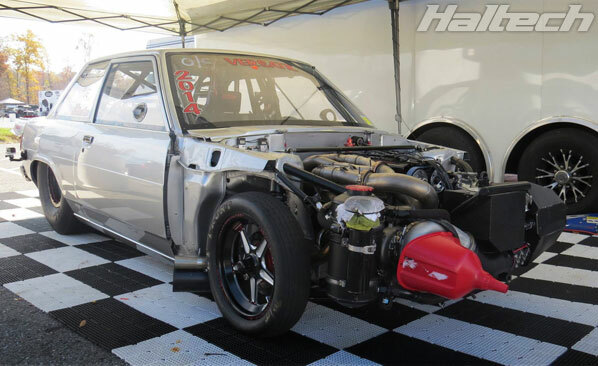 Drawing over 20,000 spectators and 400 heads-up racing competitors, the event brings together the top cars from just about every sanctioning body in the USA. 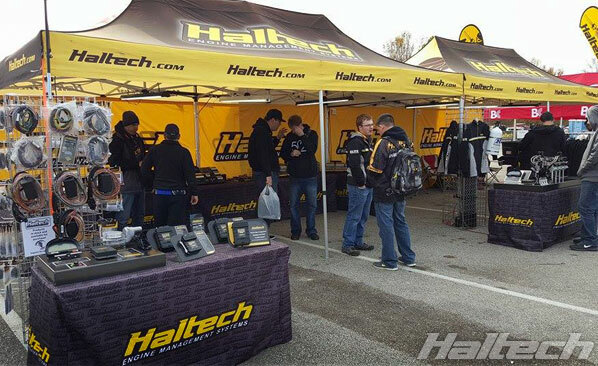 Befitting its naming sponsor status, Haltech had an impressive display tent showcasing its latest product range. Hands-on displays were a hit with the fans, many flocking to try the Drag Racing Simulator and check out the Flex Fuel and Drive-By-Wire interactive displays. Puff goes the Nitrous! 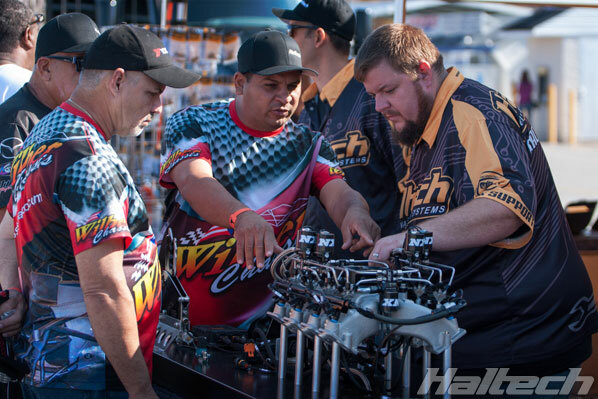 Haltech’s Drag Racing Simulator in action. 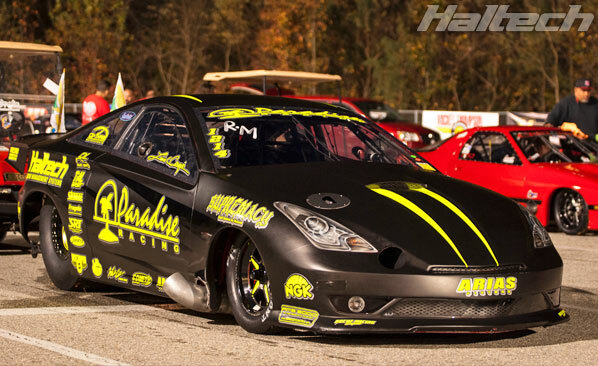 Damon Chin’s Celica just keeps getting faster and faster! 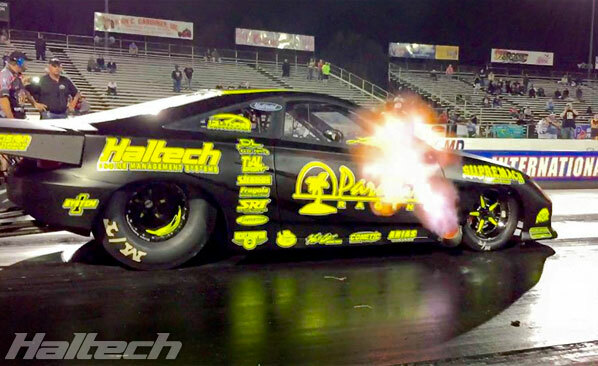 Damon’s new PB of 6.12@234mph was enough to take him to the semis. 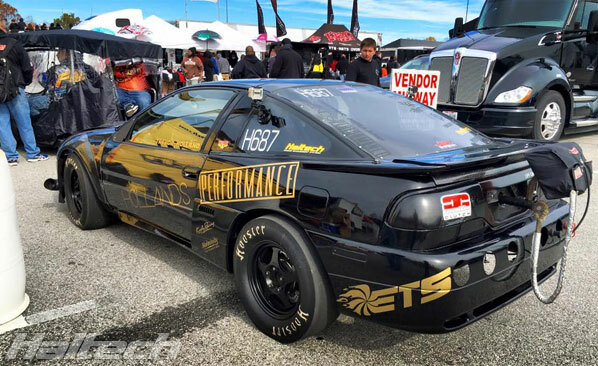 The car is powered by Rosardo-tuned 2JZ engine and uses Haltech’s Sport 2000 ECU. 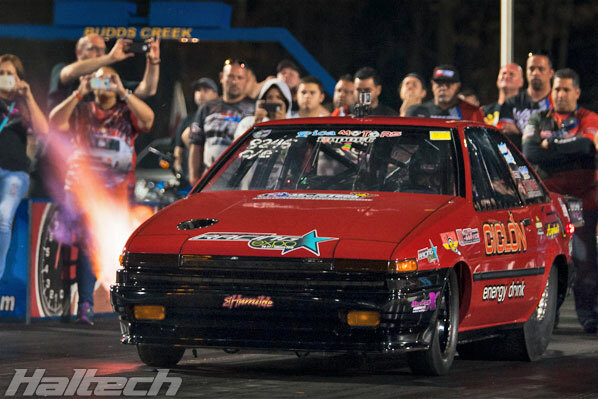 Jaime Rodrigues also set a new PB of 6.38@228mph in his “El Versatil” Toyota Corolla. 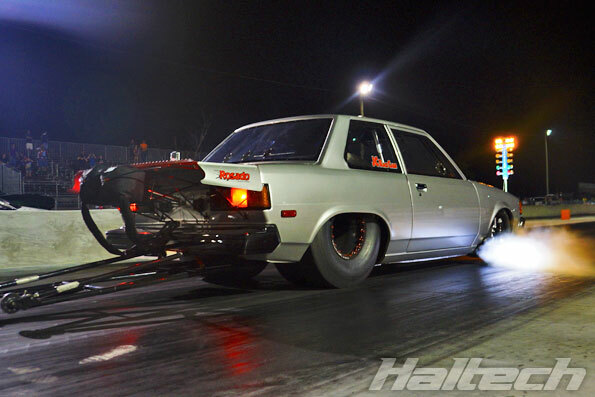 Jaime’s Corolla is powered by a turbocharged 2JZ engine, tuned by Richie Rosardo and uses Haltech’s Sport 2000 ECU. In one of the most anticipated heads up import match races of the year, El Versatil went head to head with El Humilde in the first round of eliminations with Versatil edging out Humilde and carrying on into the next round of eliminations. El Versatil lived up to its “super consistent” reputation by going all the way to the finals. 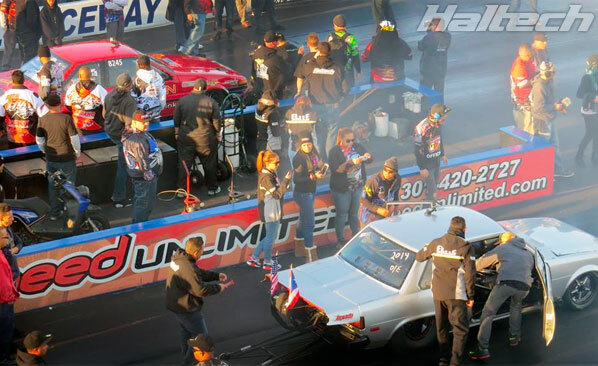 Luis Corujo pushed the Paradise Racing Celica to a new PB of 6.65@212mph. 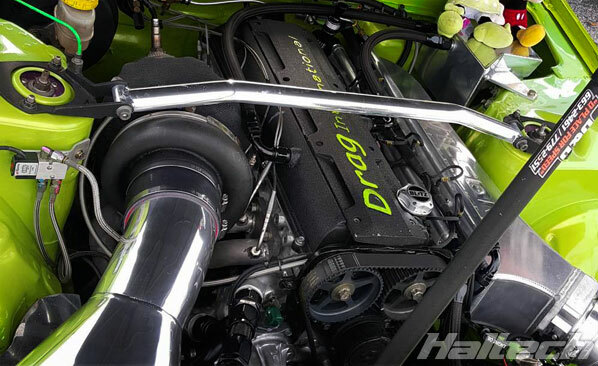 Luis’ Celica uses a Haltech Sport 2000 ECU and is now the World’s fastest 3RZ (4cyl) vehicle. Navin Maraj aka “Medicine Man” had a great event breaking his PB twice. Despite losing his Elimination round, Navin was ecstatic about dropping his PB by a massive .4 sec. 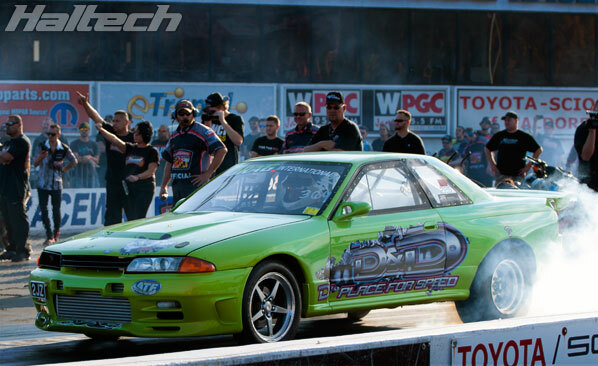 Navin’s R32 GTR is powered by a 2JZ engine and uses Haltech’s Sport 2000 ECU. His new PB is an impressive 7.311@188.86mph. 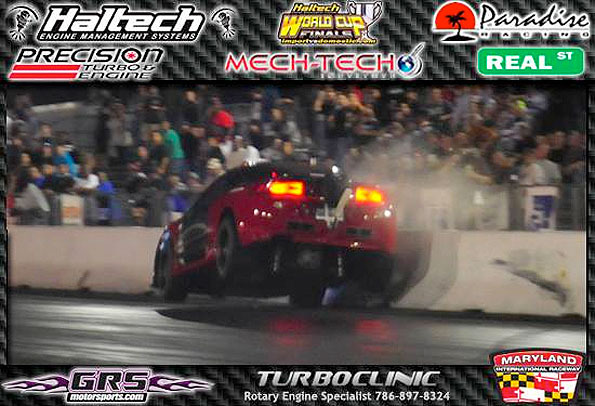 Big Daddy Performance’s infamous Supra came within .02 sec of breaking his all-time PB with an impressive 7.62@162MPH. 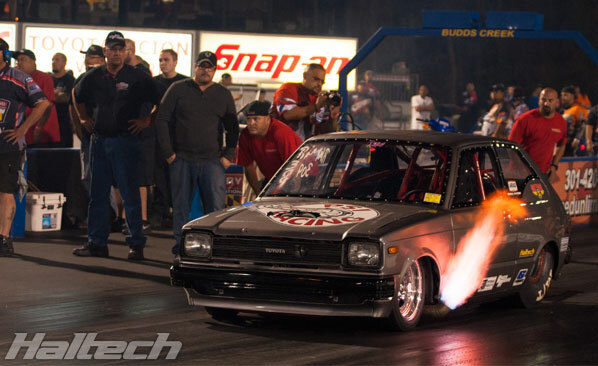 Brendan Alvarez in the PSI Racing Toyota Starlet run a 7.89@190mph but got knocked out in the second round of eliminations. The event ended early for Mike Wohler with a spectacular crash during qualifying. Luckily Mike walked away from the accident vowing to be back next year, stronger and faster. 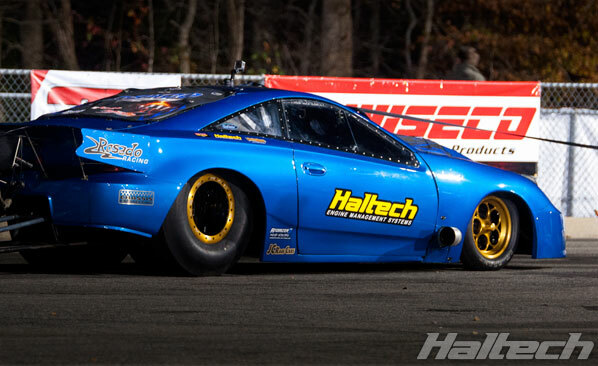 Silvio Leal’s Insulina Racing 240SX qualified successfully but got knocked out in the 2nd round of eliminations. 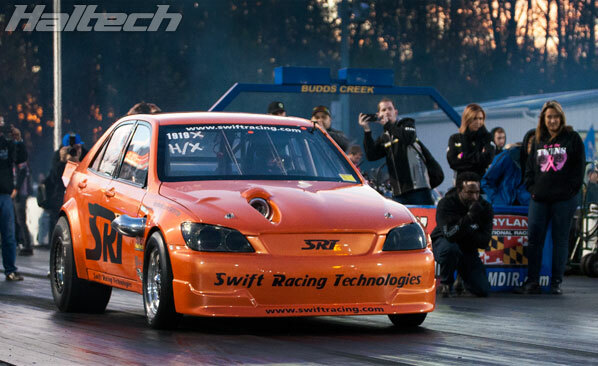 Mo Choudry’s 2JZ powered Lexus IS300 qualified strong but got knocked out in the second round of eliminations. Mo set his new top speed PB with a 204mph pass. 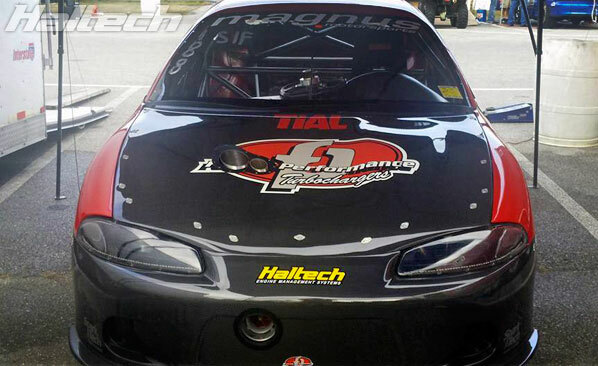 The car uses Haltech’s Sport 2000 ECU. The extreme pressure of the event took its toll the teams with many cars suffering from mechanical failures. Haunted by bad luck USP Motorsport’s Audi broke two drive shafts before calling it a day and retiring the car on Saturday. Trevor Holland’s Talon proved not immune to the driveline woes also suffering from a broken drive shaft. 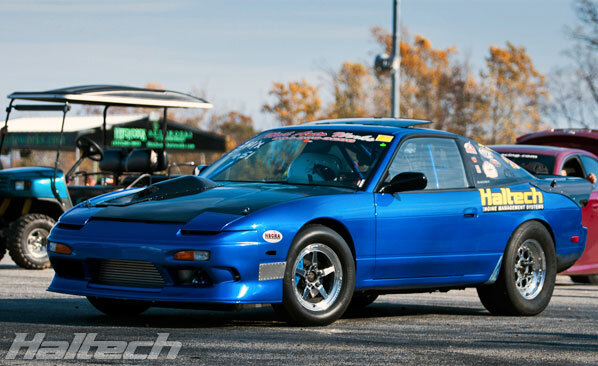 Neil Autoworks’ S13 bowed out with a broken transmission. 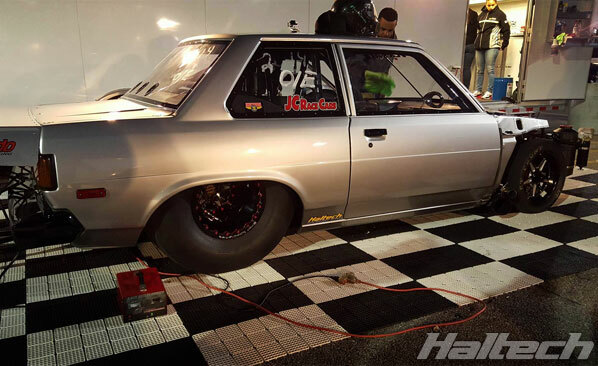 PSI Racing’s Starlet retired in qualifying with engine problems. 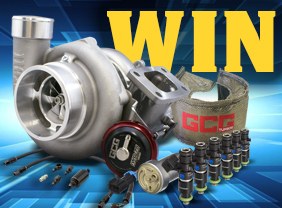 Congratulations to all the winners and record-breakers!